The caravan of cars was so long, because of the large attendance, that three different smaller groups of cars, got separated from the main group on the way to the hunting site. One group surprised a local by following him to his home. I spent the first hour receiving phone calls and rounding up our wandering vagabonds. Many thanks to Bob Williams for hosting the fieldtrip, and for his efforts in obtaining permission for our members to fossil hunt at this very productive site. 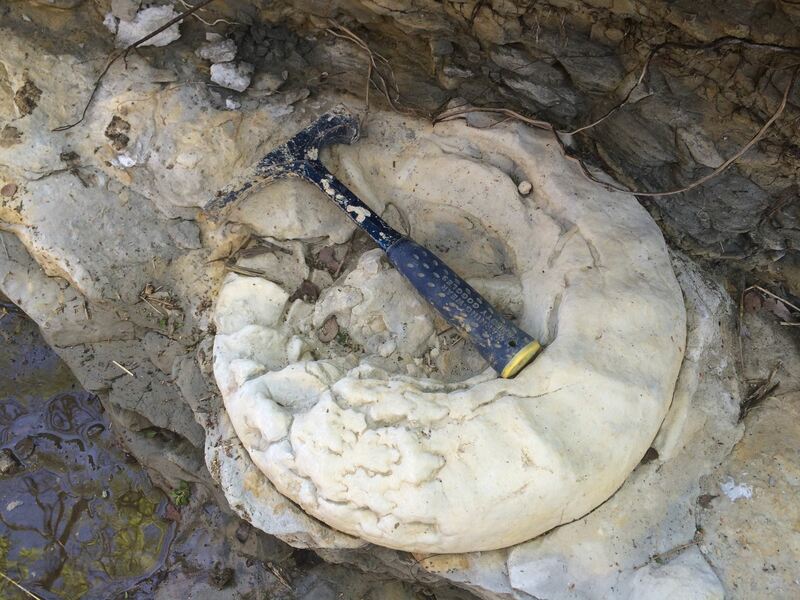 Most all found very nice examples, but hard fought for, ammonites embedded in the 100 mya earth’s crust.